It's that time of the year when there is enough daylight to enjoy runs around the Sussex countryside on a Tuesday evening without the need for headtorches. Last year's series finale started from Pyecombe and headed up Wolstonbury for the traditional Trig Point Party (see photo). The current series started at the same place but headed onto Newtimber Hill and beyond. 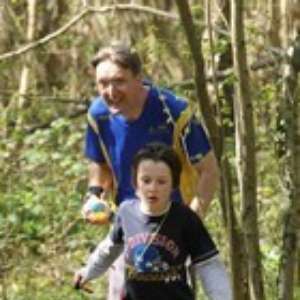 Details of all trail runs will appear in the events section - though sometimes just a few days beforehand. We are always looking for suggestions for new routes (see link below). 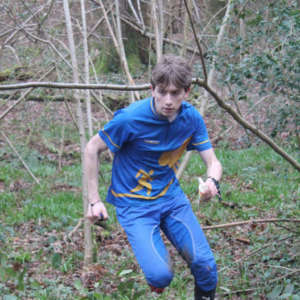 The Yvette Baker Trophy is the premier orienteering competition for juniors in England and Wales. The qualifying round is at Worth Lodge on Sunday 13 May 2018. It's a Southdowns area, so not too far to travel. Junior Team Manager Julia Jarvis is coordinating the entries and we need as many SO juniors as possible to run in order to give us the best chance of qualifying. It's free to compete, but entries need to be via Julia. Please contact her via the Contacts tab and let he know either way. JK finishes with an SO relay win. The 2018 JK ended in a very muddy field but with a win in the Men's Short Open class with Alex Lines, Stan Heap and Jack Kosky. We also managed 5th and 8th place in the same class. Also in 8th place was the junior team of Amelia/Maddie Bartlett and Scarlet Heap. In the individual classes Roger Maher made in 3 wins out of 3 to claim gold in M80. Also on the podium were Ruth Rhodes (W75) and Mike Gammon (M85) who both finished 2nd. Finally some excellent results in Trail-O saw Matt and Sam Leitch on the podium for both Pre-O and Temp-O with Matt actually beating all the adults in the latter class to claim gold. Congratulations to Ruth Rhodes (W75) and Roger Maher (M80) who both won gold medals at the JK sprint event on Good Friday. Honourable mentions also to Paul Luttman and Will Heap who were 4th and 7th in M45, to Neil Crickmore 4th in M55, Jill Blount 5th in W55 and Carol House 5th in W60. 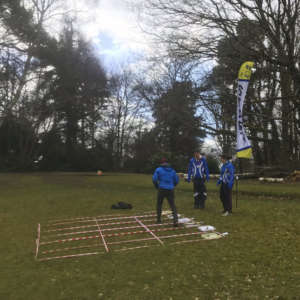 200+ pupils took part in the 2nd annual orienteering sports day today around the Michael Hall school grounds, known to many of us as Kidbrooke Park in Forest Row. 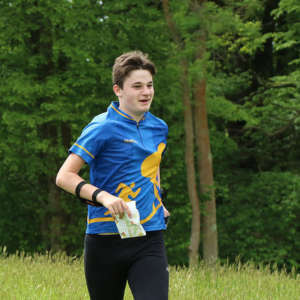 Children aged 12-18 raced around six different courses in some welcome sunshine. Four school 'teams' were battling it out, which made for some exciting viewing and lots of excited children! SO Juniors earned valuable points at Balcombe Estate Compass Sport Cup qualifying round to ensure SO won through, to the grand Final. With the added buzz of the SO Junior Squad cake stall, excitement and anticipation was high. For the second year in a row SO won the regional heat of the CompassSport Cup and so will be heading to the final on Cannock Chase on Sunday 21st October. In a large heat held at Balcombe we narrowly beat SLOW (who will be joining us in the final). Full results are on the DFOK website. Please put the date of the final in your diaries as we would like to take a large team there. 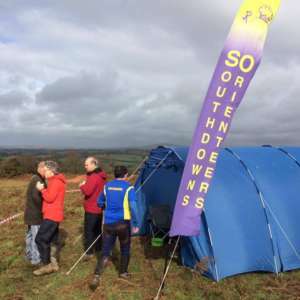 Five hardy Southdowners travelled to south Wales for the British Night Championships on Saturday - Alan Velecky M50, Jane Lambert W55, Scarlet Heap W16, Will Heap M45 and Roger Maher M80. Night orienteering at its very best (and most difficult!) in the sand dunes of Merthyr Mawr. 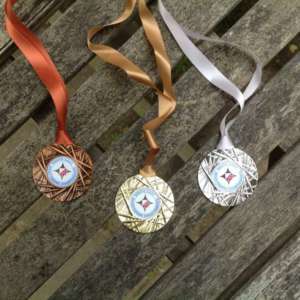 Congratulations to Roger Maher who brought home gold and to Scarlet Heap who won bronze. We have entered 15 teams for the JK relays, details of which can be seen here. There is still time for people to swap teams or laps - let the club captain know. Not much interest in the British at the moment. 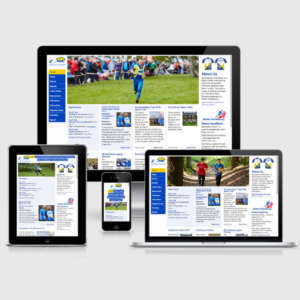 If you're new to multi-day events or relays take a look at our popular events page - all members welcome. Contact the club captain for more info about relay events. What's All The Buzz About?We asked some of our new members why they keep coming back. 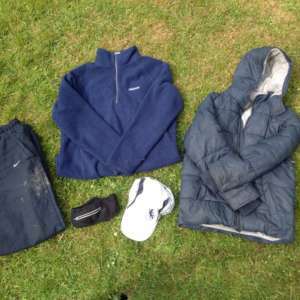 "I love running in the woods, jumping streams, scrambling through mud and splashing in puddles". "The thrill of finding the checkpoint, then getting lost, then finding my way again, then getting lost. Brilliant! The kids did way better than me!"